The placebo effect is "any dummy medical treatment; originally, a medicinal preparation having no specific pharmacological activity against the patient's illness. . ." (1). This definition summarizes the attitude of modern medicine to a placebo: a useless and undesired side-effect of treatment. Which is unfortunate, since a placebo promotes healing (2). It may relieve pain, e.g., headache, and even modify the course of an illness. However, medicine regards it as a sham treatment, tainted with deception. Placebo is Latin for "I shall please", and was used in the past to please the patient. Even as late as 1950, catalogs for physicians carried long arrays of pills labeled "Placebo". All this has now vanished and placebo as such is not used. Placebo as a conditioning stimulus - On the other hand, consider a patient with a chronic disease that requires adrenal steroids or immuno-suppressive agents. Prolonged treatment is accompanied by undesirable side-effects. Several studies have shown that by interleaving placebo tablets in the treatment regimen, the total amount of drug can be reduced (3). Medicine does not even consider such a possibility, since the placebo effect cannot be explained by pharmacology, and involves patient deception. Yet it works and the patient benefits. Such a regimen involves conditioning. In behavioral terms, the drug is regarded as an unconditional stimulus, and the placebo as conditional. Repeated association of a conditioned stimulus (placebo), and an unconditional stimulus (steroids) eventually enables the placebo to elicit a conditional response (reinforcing steroid action). The placebo effect may be improved when placebo medication is given after a period of effective drug treatment. "Just as Pavlov's dogs were conditioned to respond to an irrelevant stimulus (a bell) as if it were meat powder, so individuals who had successful trials with active medications (unconditioned stimulus) become conditioned to respond to inert symbols of medicine (the conditional stimulus) as if they were also active" (4). Drugs do not act in a vacuum. A specific drug action is always accompanied by non specific (placebo) effects. "The entire ritual surrounding drug treatment can become a conditional stimulus by virtue of the repeated association of neural cues with active drug administration in the history of the patient" (3). Explained and unexplained processes - Conditioning is but one aspect of the placebo effect. Others include expectation, motivation, desire, faith, and suggestion (2). In view of the negative connotations of the words "placebo effect", it seems difficult to tackle it rationally. Its definition is too broad and hazy. For operational reasons, the definition ought to be narrowed and placed within a framework in which placebo effects can be studied more rigorously. Two kinds of processes operate in disease - 1 - those for which medical theory has an explanation, and 2 - unexplained processes. The first obey physico-chemical laws, and are studied by the medical sciences, e.g., pathology, microbiology and pharmacokinetics. Unexplained processes will be called here "placebo effect". Here are some examples: an infectious disease is treated with antibiotics. The interaction between microbe and the antibiotic drug is accounted for by pharmacology and microbiology. It is an explained process and belongs to the first category. All other processes operating in an infectious disease, e.g., inflammation, fever, headache, and prostration, which are not accounted for by the theory of medicine, belong to the second category, or "placebo effect". Diseases are mixtures of explained and unexplained (placebo) processes. Treatment directed to explained processes is called "specific". Non-specific treatments mobilize unexplained (or placebo) processes. Suppose now that a patient with influenza was treated with aspirin and gets better. The theory of medicine (here, pharmacology) fails to explain why he gets better. Restated otherwise, aspirin mobilized unexplained processes, or placebo effects. In this context, placebo treatment targets unexplained processes and is therefore non-specific. Hippocrates would attribute such unknown processes to the healing force of nature (5). Wisdom of the body - Unexplained processes intrigued two renowned physiologists, E. H. Starling, and W. B. Cannon. Starling realized that even if all physiological processes in the body were understood, we still could not explain how they are controlled. This knowledge he attributed to the wisdom of the body (WOB). This was also the title of Cannon's physiology book, which introduced the notion of homeostasis (6). WOB accounts for all processes operating in the body, explained and unexplained (7) (8). The hypothalamic-hypophyseal axis - The relationship between explained and unexplained processes is illustrated on the hypothalamic-pituitary axis (Figure 1). Black arrows represent explained processes, e.g. hormonal feedback. Gray arrows represent the effect of the organism on the axis, which is generally unexplained. Since all components maintain homeostasis, hormonal treatment involves explained as well as unexplained processes. The negative feedback of cortisone is mediated by two routes, explained, e.g., pituitary and hypothalamus (black arrows), and unexplained (gray arrows). In the above-mentioned influenza patient, the beneficial role of aspirin might have been mediated, among other ways, via the gray arrows, with "no specific pharmacological activity", like any placebo. The WOB concept serves here as a rational evaluation of unexplained processes in healing. Whatever aspirin does to an influenza patient, it is mediated by the WOB that directs diseases in their course, and the role of the physician is to assist it. This new definition of the placebo effect has several merits. Ethically; since it boosts unexplained processes, placebo becomes a valid treatment; neither a deception nor trickery. Hitherto, the history of medical treatments has been viewed as the history of the placebo effect. Not anymore. It is a history of successful manipulation of unexplained processes. True, medicine was riddled with false hypotheses, but in the hands of competent physicians the placebo effect was effective. Historians of medicine should direct their attention to successful placebo treatments that might be applied today. The saying "We dress the wound, God heals it", can now be interpreted as :"We apply specific treatments, God evokes non-specific placebo effects ". 2. 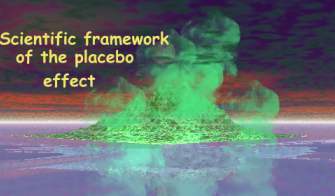 Zajicek G. The placebo effect is the healing force of nature. Cancer J 8, 44-45,1995. 3. Nader R. The role of conditioning in pharmacotherapy. In "The Placebo Effect" (A Harrington ed. ); Harvard University Press, Cambridge, 1997. 5. Zajicek G. Healing force of nature. Cancer J 8, 4-5,1995. 6. Cannon WB. "The Wisdom of the Body". Norton, New York, 1932. 7. Zajicek, G. Wisdom of the body. Cancer J 7, 212-213, 1994. 8. Zajicek G. The language of the wisdom of the body. Cancer J. 8, 291-292,1995.